Condition: Skin in need of hydration and increased elasticity. Solution: 100% Pure Avocado Oil is an all-natural, nutrient-rich, food grade vegetable oil. Heavy in texture, Avocado Oil increases epidermal elasticity, while thoroughly moisturizing and softening stubborn, dry or cracked skin. 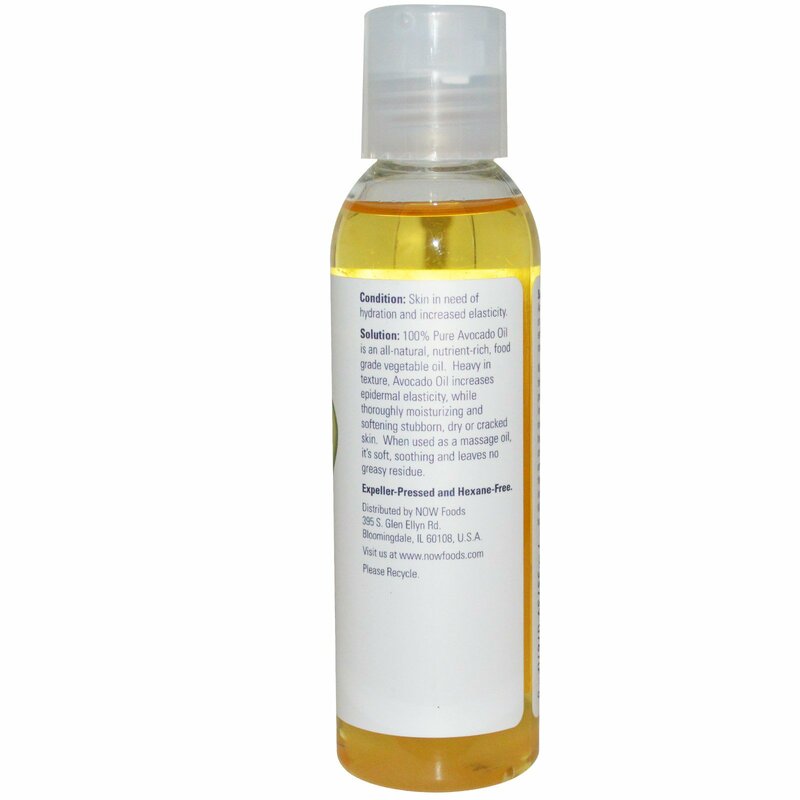 When used as a massage oil, it's soft, soothing and leaves no greasy residue. NOW Solutions is the next step in the evolution of personal care products. This comprehensive natural line encompasses anti-aging moisturizers and serums, bath and body gels, shampoos and conditioners, oral care, skin care, and essential oils, all of which are formulated with the finest functional ingredients from around the world. NOW Solutions products avoid harsh chemicals and synthetic ingredients in our formulations, to provide a more natural product line. Clear bottle contains UV light protectant. 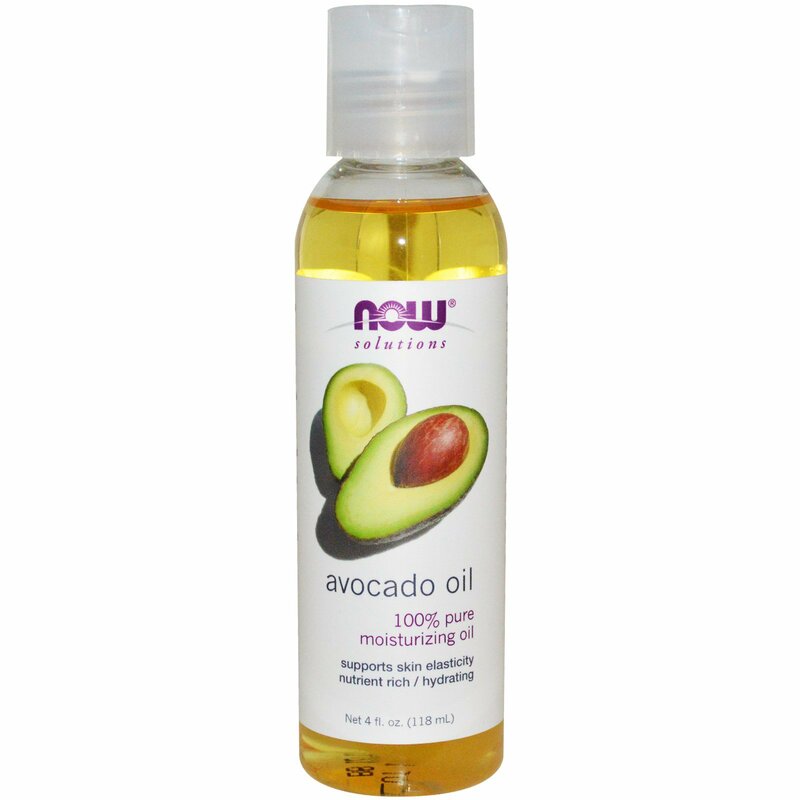 100% Pure Avocado Oil can be used as a scalp or skin conditioner, or as an emollient. Also makes a soothing massage oil. NOW does not test on animals. Please recycle.